WALKSTRONG ~ www.walkstrong.ca: " Deep Hurt ... "
And I felt you, like the only one. I'm falling, I'm falling inside my heart. Deep hurt ... when an event or a time in your life where the rug of life itself seems to have been ripped out from beneath your feet. 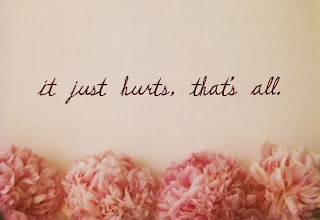 About a year and half ago I experience deep hurt. By a friend, a hurt that was unexpected and very deep. So I spent a long time reflecting ... asking why the situation happened, asking what I did “wrong”, asking how it could have been different. And I have realized that I didn’t need to get over it, I needed to go through it and honor my pain. Yes, that is right, honor. Honor the reason why I have the pain to begin with. It is not about arguing with your new reality, however catastrophic it feels. It is about saying yes to what is happening at the moment and seeing where you can move yourself into a higher place from that moment forward. It is about having more loving compassion for yourself rather than pity. It is about finding that higher reason. I wish I knew then what I know now ... isn’t that always the way? If only someone would have taught me that within the seed of deep life tragedy is the seed for life renewal ... and take that situation and create positive change ... perhaps my pain would not have lasted so long. Perhaps it is about getting through to the other side of your grief and into a place of authentic empowerment which shows you how via your situation you can feel different. Perhaps it is about adjusting to the new situation with a positive sense of purpose re-igniting hope and replacing despair. 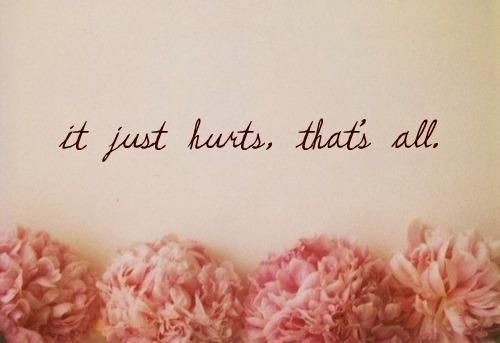 Whatever scars you carry around with you, take the time to not only identify your pain but express it. In my situation, I didn’t have the opportunity to communicate my hurt. So instead I scribed what I needed to and burned it. It empowered me instead of victimizing me. Yet reliving the past ... can be addictive ... it gives us the opportunity to do it again and respond differently ... you know to fight back instead of being passive or to speak your mind instead of staying silent. It also allows you to possibly understand better. What happened? Where did you go wrong? What should you have done? But reliving the past also allows you to torture yourself. Because regardless of what you should have done, you can’t do it now. So stop telling the story. It may seem like another way to understand what happened, or maybe it feels helpful to hear someone say you didn’t do anything wrong and you don’t deserve to hurt. In all reality this just keeps you stuck right where you are: living your life around a memory and giving it power to control you. I realize that I can’t find happiness by holding onto a painful story. Sometimes when trying to find a happy ending it is better to look for a new beginning. I can only find happiness when I let it go and make room for something better. Hence if you find it hard to completely let go of the hurt forever, start simple ... make room for joy right now. Just re-focus and allow yourself a little peace. And because you don’t have to carry your hurt through every moment of your day, allow yourself pockets of peace, shared with people you love and find you need that story a lot less.